Recently, two month before the official release, the Dark Souls 2 achievements list has appeared online. Total amount of the achievements includes 38 items. They will help the players to get 1,000 additional scores. - “This is Dark Soul” - an achievement for dying the first time with a 10G reward. We wonder, will there be anyone who won’t manage to get this achievement? - “The Heir” - 100G for the successful campaign’s ending. - “Change of Clothes” - 30G for giving Rosabeth of Melfia something to wear. Other high-score achievement, that will help players with getting more points, are: “Supreme Weapon” (50G) for reinforcing the weapon to its maximum level, “Selfless Giver” (50G) for devotion to covenant, and also “The Dark Soul” (50G) - the player gets it when earns all 37 other achievements from the list. 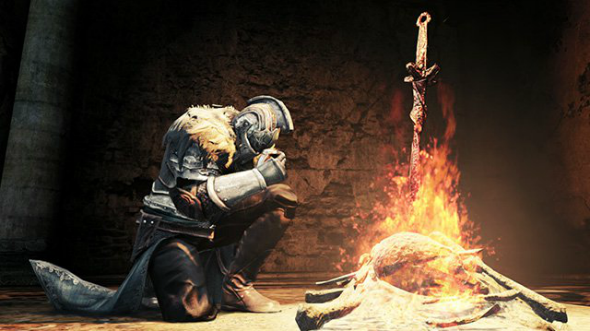 The Dark Souls 2 game is to be released for PS3 and Xbox 360 in March 2014. The PC version will appear a little bit later. As for Wii U and PlayStation Vita, From Software company has announced that they have no plans of the Dark Souls 2 game’s edition for these consoles in the nearest future.